Just like Iron Fist and Luke Cage, Marvel's Daredevil has been cancelled. Just like Iron Fist and Luke Cage, Marvel's Daredevil is officially cancelled. As per reports, the brilliant series will not be renewed by Netflix for a fourth season. In light of these events, the cast and crew of Daredevil have started to say goodbyes to their fans. The third season of Daredevil was released back in October. Unlike Iron Fist, Luke Cage, and The Defenders, fans actually had positive remarks for Daredevil and the execution of a superhero with a darker side. "... we feel it best to close this chapter on a high note. 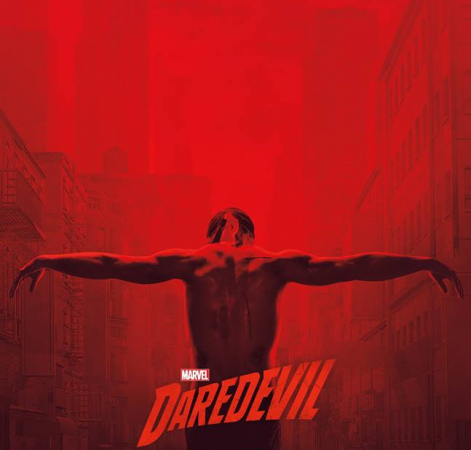 We're thankful to our partners at Marvel, showrunner Erik Oleson, the show's writers, stellar crew and incredible cast including Charlie Cox as Daredevil himself, and we're grateful to the fans who have supported the show over the years," the company said in a statement. Even before it was announced that there will not be any Daredevil season 4, show's star Charlie Cox opened up about the show's future. While speaking to The Hollywood Reporter, he candidly stated that he does not know if there is any intention of doing more seasons after season three. "I think there's an interesting challenge for the writers because I don't think we can do another season where Matt is so isolated, so alone, and so broken and angry. I think in order to avoid being a broken record, we're going to have to find a Matt Murdock that at least initially has a slightly different attitude toward the people that he loves, and toward himself, and toward God," he further stated. When it was announced that Daredevil is not getting renewed for a fourth season, fans were left in shock. Now, as things have cooled down a little, the cast and crew behind the television adaptation of Daredevil have started to pour out their hearts on social media platforms. Deborah Ann Woll, who played Karen Page, wrote on her Twitter that she will miss seeing her friends every day. So Sad to hear the end of @Daredevil.I was so lucky and fortunate to be apart of this amazing show and work with such an amazing cast and crew. An experience I will never forget. Thank you for all the love and support from the fans. You are the best. Until next time. The statement further added that the Daredevil character will live on in future Marvel projects. In simpler words, if Netflix does not cancel shows like Jessica Jones and The Punisher, there are chances that fans will get to see some sort of a crossover episode. At the same time, it is not confirmed though.